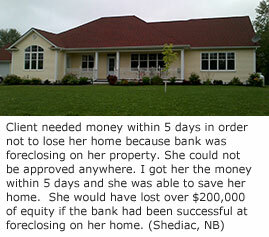 Quispamsis home private loans are for those times in life where you are thrown a curve ball and the traditional financial institutions will not help you. Home private loans in Quispamsis NB are traditionally registered for up to 65% of the value of your home with exceptions to 75%. 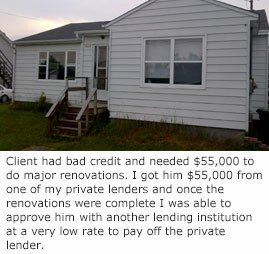 The mortgage contract for a home private loan in Quispamsis NB is usually for a few years only. An exit strategy for paying off that private loan is determined in the beginning before proceeding. 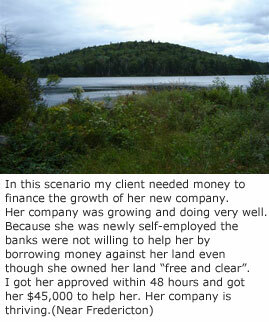 Private lenders in Quispamsis NB prefer to do private loans for properties which are located within city limits however they will borrow in small towns or rural areas outside of The Greater Quispamsis Area but they may only lend up to 60% value of the property when financing outside of the city especially in rural areas. 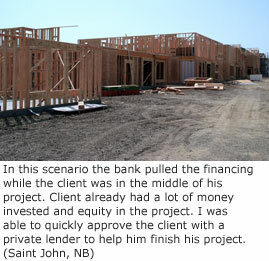 Private loans in Quispamsis can range anywhere from $30,000 to $10 million because many private loans are being used for big commercial projects. 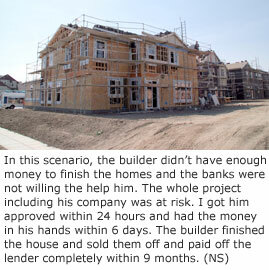 The terms involved vary depending on the risk however generally speaking the annual interest rates on Quispamsis private mortgage loans typically range from 10-15%. 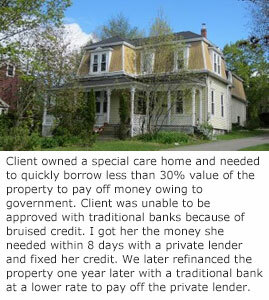 Any cost involved with the private loan is disclosed before you commit and it is always my prerogative to mitigate or cap all costs into the private loan. Whether you are in Quispamsis, Moncton, Fredericton, Saint John or any other location in New Brunswick and you are looking for a solution to your mortgage situation please contact me anytime at 1(888)878-4660 or email me at mortgages@jessebrun.com. Thank you very much and best regards to you! !